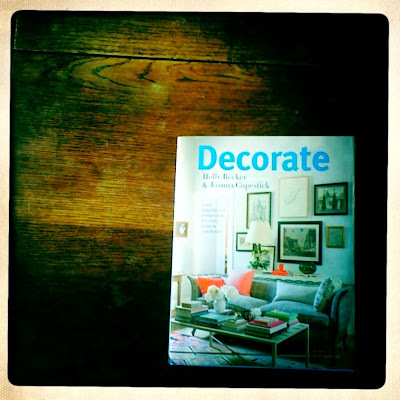 Tonight I am attending a talk at Liberty by Holly Becker the author of the recently published book "Decorate" and one of my favorite blogs Decor8. I am so excited to meet her and hear her speak after reading her writing for the past several years as well as taking a class with her. It should be such a lovely evening as after her talk she is doing an interior design demonstration with Leslie Shewring of A Creative Mint, and Sania Pell the author of The Homemade Home. I can't wait!! !